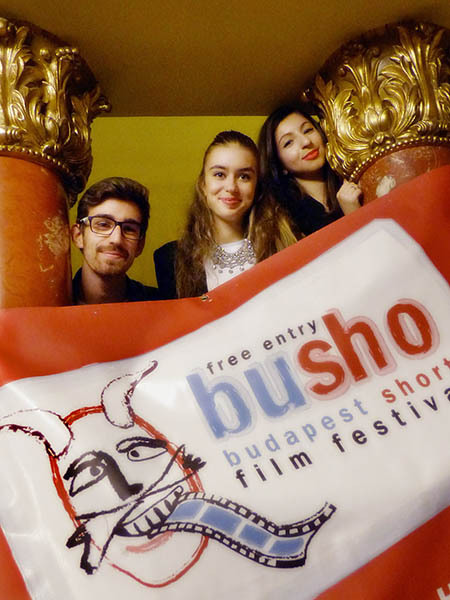 A lonely guy encounters teenager love: Francois Bierry`s film, the Solo Rex, won the Main Prize Gold BuSho on the 11th BuSho International Short Film Festival, at Saturday night. The Silver Busho prize was awarded to the short 90 Degrees North. In this satire, the film director, Detsky Graffam holds a distorting glass to the overly rule-abiding German people. The Bronze Busho prize was awarded to De Smet, a short film about a special relationship between three brothers, directed by Thomas Baerten and Wim Geudens. According to the jury, the Dutch film, entitled De Smet, won the Bronze BuSho prize “For its meticulous and economic scripting, by which the director humorously and humanly transposes us into the mundane existence of three bachelors whose every day habits are unexpectedly disturbed by an intruder.” In the film, which won earlier awards from several international festivals, two from the three De Smet brothers are so satisfied with their lives based on symbiosis that they are ready to do anything in order to maintain this way of life. 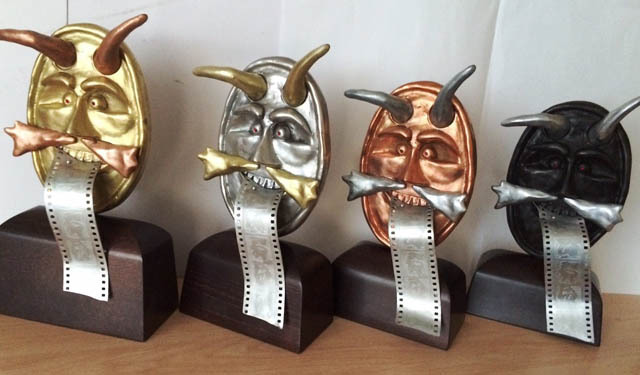 The three main prize winners, in addition to the statuette made by Solide Art, receive the scenario development fee from the InkTip, whereby, the creators’ next film plan will be available for free to producers. The best animation award went to the Brazil Pedro Harres`s film, the Castillo y El Armado, in which on a windy night, Castillo faces his own brutality on the line of the fish-hook. 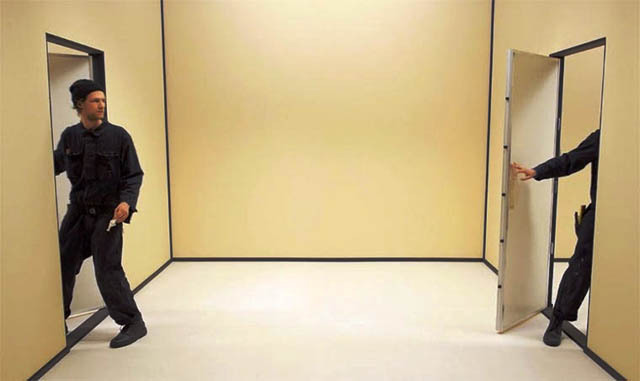 The best experimental film was Robert Gwisdek`s film, the Circuit, which is a German film about an electrician, who is trapped in a looping room and is looking for a way out. The best comedy is also a German work: for this award, Michael Binz`s film, Herman the German was chosen by the jury. Herman suffers from a rare syndrome, whereby he is forced to try out all phobias to become normal again. The best idea/screenplay award went to the film Living Soul by Henry Moore. The movie is about a submerged brain and it`s adventures in a laboratory. Una Gunjak`s German-Croatian co-production film, The Chicken won numerous awards at Film Festivals in San Francisco, Sarajevo, and the European Film Award, beside these, it was nominated for Cannes, and Sundance. The Chicken did not disappoint here either, it won the Best Cinematographer award. Steinbach Richárd received the Best Actor Award, as a main actor in Hörcher Gábor`s short film, Ricsi. We can see Ricsi`s last day at home before the start of his imprisonment. 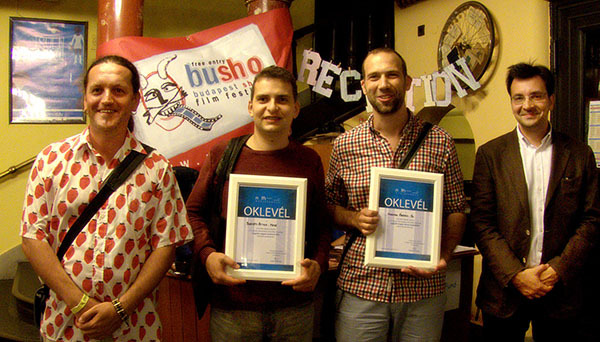 The studio and school, which submitted the best selection was the Aug&Ohr Medien film agency for the second time. The film of the Spaniard, Lander Camarero A Serious Comedy, won the Special Mention of the Jury. This film is about the director of the Iraq Short Film Festival, tired of never receiving comedies at his festival. Michael Havas, who is a Czech/New Zealander screenwriter, director and producer and a member of the international jury, summarized his experiences from the festival. He thanked the jury members – Wolfgang Leis, who is a permanent member of the jury, Csaba Bereczki who is the international director of the Hungarian National Film Fund and to Daniel Vadoczky, Slovak film aesthete –, and he pointed out that they compared the incomparable and they judged together things that are impossible to adjudicate. As he said, during his stay in Budapest, beside the films, the deepest impression on him was made by Syrian refugees in the Keleti station and marching along Rákóczi avenue. "We must not forget that what we see on the screen is always a reflection of reality. The next time you take out of your iPhone, remember that the father of the belated CEO of Apple, Steve Jobs was Syrian ". As you may know, the National Student Jury also handed out their awards. The students of ELTE –Stella Asmon, Fanni Gór and Marcell Martin – gave indeed three awards instead of one, for each genre. The best experimental film was the American Deborah Stratman\\\'s Hacked Circuit „for the unique presentation of the film and for the pleasant metaphors”. The best animation award went to The Bigger Picture, a film by Daisy Jacobs, for its „exceptionally strong content and immersive specifications”. „The black humour, the detailed story, but the possibility of a combination of individual interpretation” these were the reasons why the best fiction short film award went to the Sty, directed by Árpád Hermán. In addition to the award for the best actor, Hörcher Gábor`s film, Ricsi, also received the award from our main sponsor, the Visegrad Fund. This award (granted for the second time now)was given to a film directed by a Czech, Polish, Hungarian or Slovak director. The director thanked Ricsi, the main actor first, who "is very talented and determined, and he is trying to break out of poverty with these properties". Gábor Hörcher said, he hoped that these two awards would empower him in reaching his goals. Next to the Visegrad Fund, the other award for the second time is from Sopron: this award went to Gas Station by Alessandro Palazzi, a film about two African refugees in Italy pumping gas at a self-service station at night. Two new offerings had their debut at Saturday night at BuSho. For the first time this year the prize of the Media Council of the National Media and Telecommunication Authority that is a 2 x 500 thousand forints award given for the best Hungarian animation and fiction work. The best animation award went to Bertóti Attila`s animation, the Mese, and the best fiction award is for the Sty by Hermán Árpád. the other new special prize is from the Sziget Ltd, and according to their decision, BarcsayBálint will spend a week next year at the Sziget, with two other crew members and he will have a permission for. He deserved these with his film, entitled 035, a film where a Hungarian astronaut flies the Hungarian flag on the Moon. Since Tuesday, almost 70 fiction, animation and experimental films were presented in the competition and besides this 40 international and over 50 Hungarian short films were presented out of competition on info blocks. The central location in Budapest was the Puskin Cinema and the Budapest Rooftop Cinema, but in addition to these locations, there were screenings in parallel also in Szolnok, Sopron, and across the border in Oradea, Nové Zámky and Uzhgorod.